I’ve changed my mind about meat chicks. So there. I have read articles written by homesteaders and others who rail against these chickens, saying that it’s unnatural for them to grow so fast, that it’s better to grow the “heritage” chickens that grow more slowly and not as big. But I can’t ignore the economics of growing chickens for meat: the Cornish cross chicks will be ready to butcher (a good 4.5 to 5 pounds or more) in 8 to 10 weeks. A heritage breed will take 5 months, at least. That’s at least twice as long to care for and feed, in order to get to butchering weight. Though I butcher my old hens every fall, socking them into the freezer to simmer for soup and stocks and dumplings and so forth, I haven’t raised meat birds in a few years. It’s a bit of extra trouble, and my chicken coop isn’t big enough to offer shelter for these meat birds, along with all my laying hens. My good husband and son Timothy built me a open-air meat bird enclosure of sorts, out of PVC pipes and chicken wire, and that’s what I use for my meat birds. It’s sort of a chicken tractor, and it allows the birds opportunities to forage and dig for bugs and worms, and eat a bit of grass. When the ground underneath the enclosure begins to look a little wan, I’ll move it to a new space. After reading Animal, Vegetable, Miracle by Barbara Kingsolver, (I wrote a blog post about it right here) I’ve had a hankering to really fill up my freezer with good quality food, from our own little farm. OId hens are tasty and make great soup, but if you want a big, plump roasting bird or a great meaty fryer, you can’t beat these Cornish Cross chickens. In my humble (and reformed) opinion, that is. I’ve missed having big, meaty chickens that I’ve raised myself in the freezer, to be honest. I feel a pang of guilt every time I buy chicken at the store, because I know how these wretched birds are raised. I love chickens, I do, and I think the best thing a chicken-lover can do (with regards to eating chickens) is to raise your own. So I bought a batch of these little fluff-balls last week. They won’t be big and meaty for some time, as you can see. I’d forgotten what cuties these chicks are. Raising meat birds is different from raising pullets (which will be my laying flock for next year). My pullets right now are hanging out in the separate nursery area of my chicken coop, all feathered out now, though only half grown, and when I walk into the coop they are flying and making all kinds of racket. They are nearly old enough for me to crack the door open and let them begin to explore the world outside the nursery, with its wonders of weeds, grass, seeds, and bugs. But when I go into the coop, they act like they think I’m going to wring their necks and eat them right then and there. Every stinkin’ time. They bunch up in the corner together, terrified of me, can you believe it, their benefactress, as I carry feed and water in to them. Hello, chickens, I’m bringing you breakfast! Chickens have very short memories, apparently. But these little meat chickens are so calm and quiet and unassuming. When I cleaned out their box this morning I put them all in a smaller box to move them. I was amazed that they placidly just stayed put in that box. The sides were very shallow, just a few inches high. They just stood there. Now my pullets, on the other hand, would have been all over the basement, making lots of noise, hopping and flying and making desperate attempts to flee, peeping very loudly, if I put them into that shallow box. Which, of course, I wouldn’t. Here they are in their shallow little box. Only one has thought about jumping out, so far. Most are toying with the idea of a nice nap. In a week or two, these little peepers will be too big to be in the box in the basement (although I’ve already put on an addition, and am planning a second) and will be covered with white feathers, so I’ll move them into their open-air enclosure, and they’ll enjoy the weeds and the bugs and the grubs and the whatnot that chickens like so much. I have actually considered an experiment: putting some of these chicks under a couple of broody hens that are doggedly sitting on eggs in the coop. I may try that tonight, after the sun has gone down, and just see what happens. 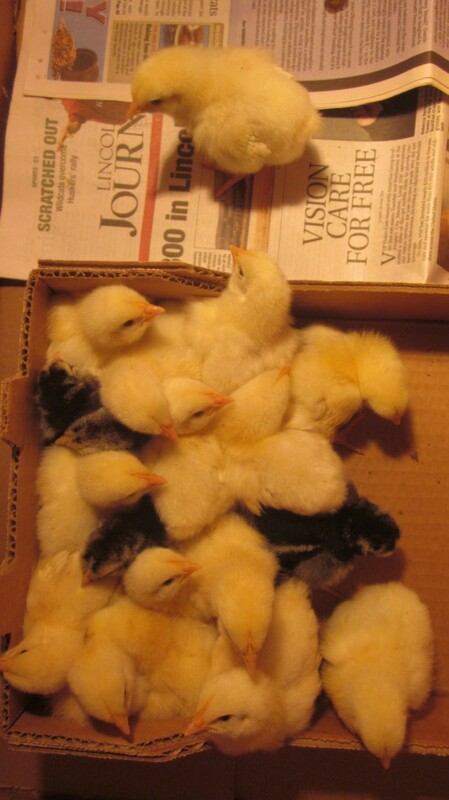 It would be awesome to delegate some of the chick-raising to a broody hen, I’m thinking. Cornish Cross chicks need to be protected from cold and wind and the weather for the first few weeks of life, similar to old-fashioned breeds, until they are well feathered. After that, they are quite hardy and enjoy being outside. I give them feed that is made for chicks, until they are feathered, and then I feed them all-purpose feed supplemented with organic grains. At this time they also are put out on pasture. I take away the feed at night, as mentioned above, to prevent their growing too quickly. I’ve lost very few of these chickens to leg or heart problems. These chicks need fresh water every day. Cornish Cross chicks, as they eat so much and grow so fast, create a lot of manure. I clean out the box in the basement every day, throwing the newspaper, soiled wood chips and manure in my compost pile. Otherwise I’d have a real stinky mess on my hands within a day or two. And you know how happy it makes me to add to my compost pile. Generally, people butcher these chickens at 8 to 12 weeks. Since I do take away their food at night, mine don’t ever seem to be ready by 8 weeks. I usually take mine to the butcher at about 10 to 11 weeks. These meat birds do seem to enjoy foraging, though they aren’t as active or as feisty as their cousins, and I think they are the best-tasting chicken because of it. And oh, I almost forgot–what’s for dessert? If you have the space and the time to raise a few Cornish cross chickens, you should try it! 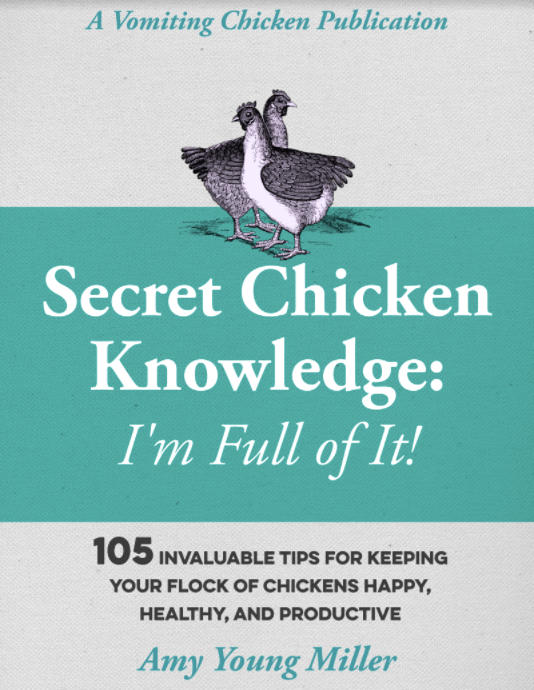 In just 8 to 10 weeks, you could fill your freezer, too, with some of the finest chicken you will ever eat! ← Lambsquarters: all about the princess of wild greens, and recipes! I wouldn’t mind having a goat, either, and I’d really like to raise a couple of calves for beef, but I haven’t been successful in talking hubby into it! I think he fancies himself being the one to corral them when they escaped the fence! I really enjoyed your story! Learned a lot and interesting I wonder if it is the same for calves that are used to make veal…. don’t know just wondering. I feel sorry for veal calves, Tammy. They are kept in close confinement in order to keep their meat from getting tough, and then are butchered very young. 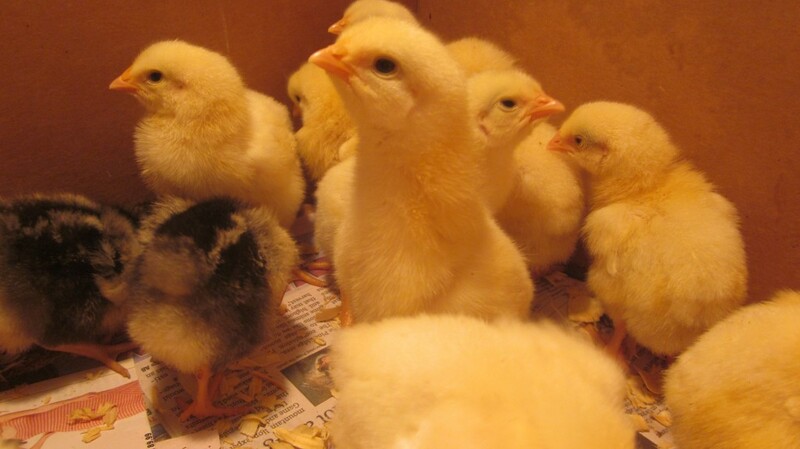 These chicks, at least, are allowed to live out their lifespan before being butchered. THanks for your comment! 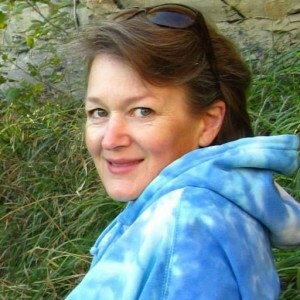 Loved reading your post, because during my “chicken years” I never raised any Cornish crosses. I never would have thought about these differences in personality and feeding habits from the heritage breeds my husband and I raised from day old chicks. Also, I never tried to get a broody hen to raise chickens that she had not hatched. Now, watching broody hens at work with a clutch of eggs, hatching them out and then raising them (and seeing the differences in the chicks from ones we raised ourselves) was a fantastic experience. Since true “free range” whole farm raised chickens here cost around $4.95 lb butchered and frozen, I’m sure you are saving a bundle, too. The Cornish crosses are a very practical chicken, although I disagree with the people who say they are devoid of charm. They are food-centered, but then many people are, too, and they still have personality . . . right? Wow, $4.95 per pound! That’s amazing, although I’m sure it’s worth it. I miss being on the farm! I was raised on one since I was 13 and I had 3 sisters who didn’t care to feed or pet the animals. Me on the other hand… loved being outside with dad while he fed the animals and told me stories about him being a little boy growing up on the farm. Thanks for bringing back the childhood memories! I grew up much like you did, except that we lived in a small town. My mom still had chickens . . . and a pig . . . and a calf . . . any time a local farmer had a runt animal, she’d take it and we’d have a new pet for awhile. There’s nothing as cute as baby animals! I’m really a bit envious of the maple sugaring bit! I’d love to hear more about the entire process (blog post?). Great article. Gone are chicken-raising days for me. A little bantom hen makes a great mother. I used her year after year. She’d take the chickens through the garden, digging, then stepping back with a sharp call to allow her charges to eat grubs. She never destroyed a plant, although I wouldn’t let any other chickens or ducks into my garden. I love hearing your stories! I have a little bantam hen, too, who has proved to be an excellent mother. I’m hoping that she’ll go broody when the nursery is empty again, so I can watch her do her mothering thing. It’s really fun to watch, isn’t it? Chances are, unless you buy a “heritage” chicken (which would probably be very expensive) the chickens you buy are Cornish Cross, or their cousins, Cornish Rocks. Given the fact that they mature so much faster than any other breed, I would say that most commercial chickens are Cornish. 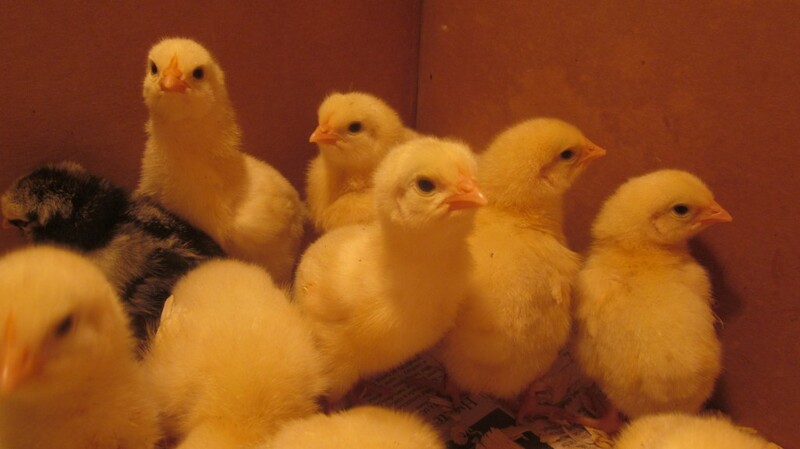 I would imagine that you can buy Cornish Cross chicks in Mexico, but who knows? They probably are an American hybridization, given our national proclivity to make things bigger and better and faster! Probably your wife’s sisters’ chickens are not purebreds, if she has kept a flock for some time–I have plenty of “mutts” in my flock, too, and some of my hens’ eggs are smaller, given there are several bantam roosters in the mix. 🙂 I always appreciate your comments! Thank you so much for your kind words. 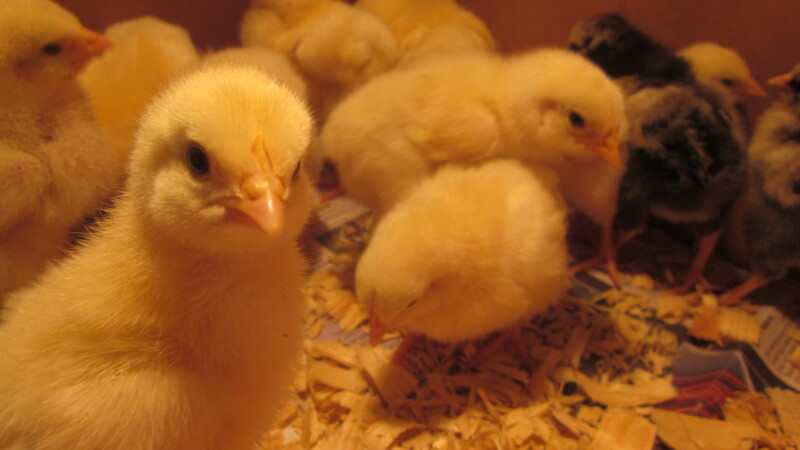 I agree about the chicks–they are really, really cute. They’re a week old today and they are still cute!